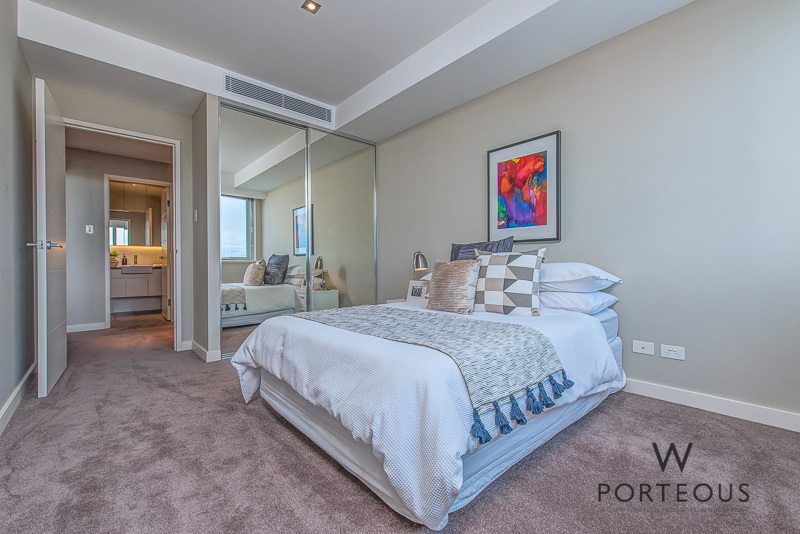 There is a fantastic cosmopolitan vibe about the resort style apartment complex Claremont Quarter’ which is situated in the heart of Claremont. 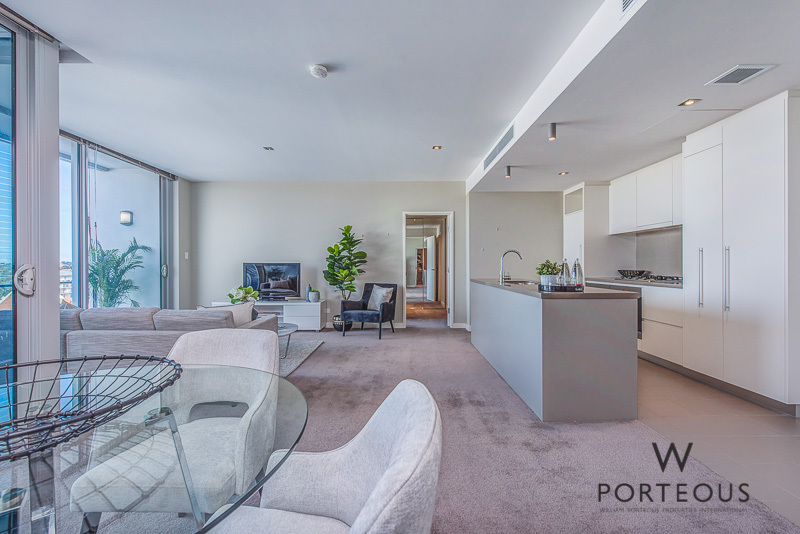 The central location means you can enjoy the convenience of cafes, fine dining restaurants and boutique shops at your doorstep. 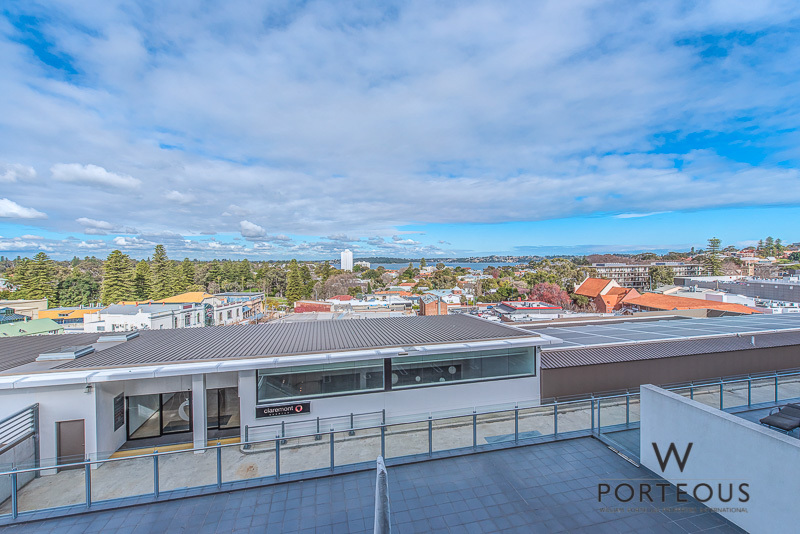 You are also minutes to Cottesloe Beach, river, train and the stunning lake and open green spaces at Lake Claremont. 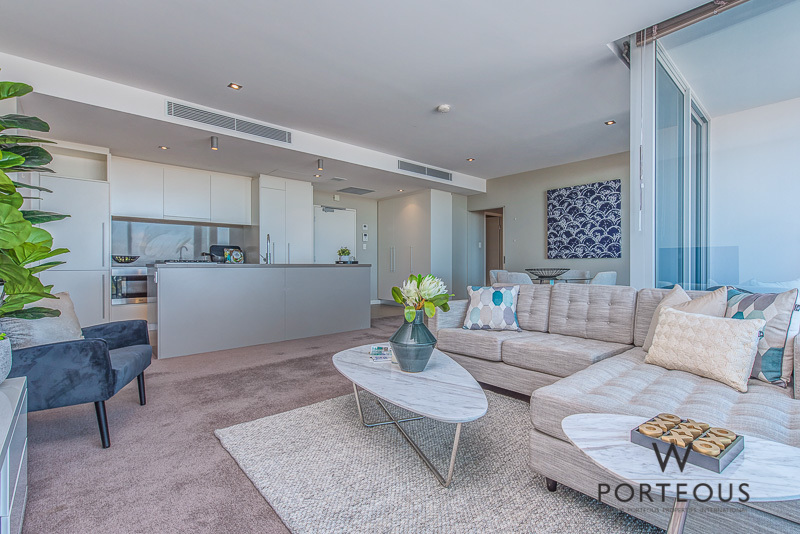 This is one of the best two bedroom apartments available in this sought after sophisticated complex. 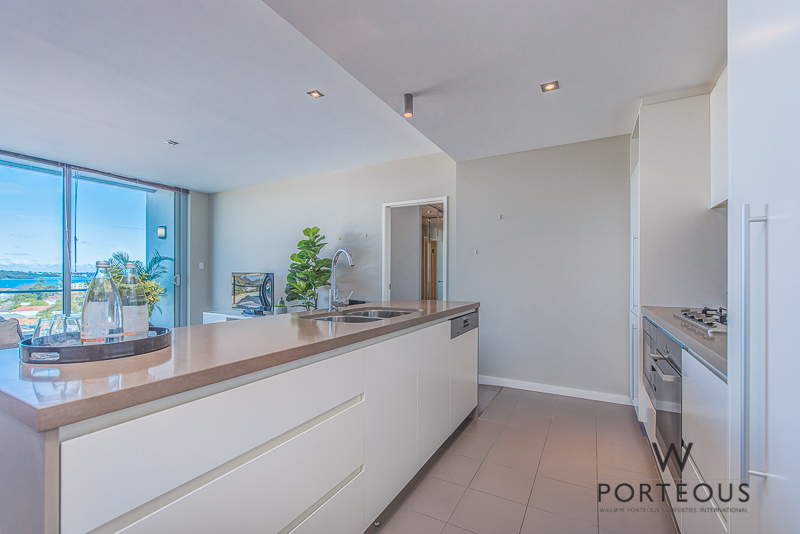 It is modern and contemporary with an open plan design and lots of room for entertaining. 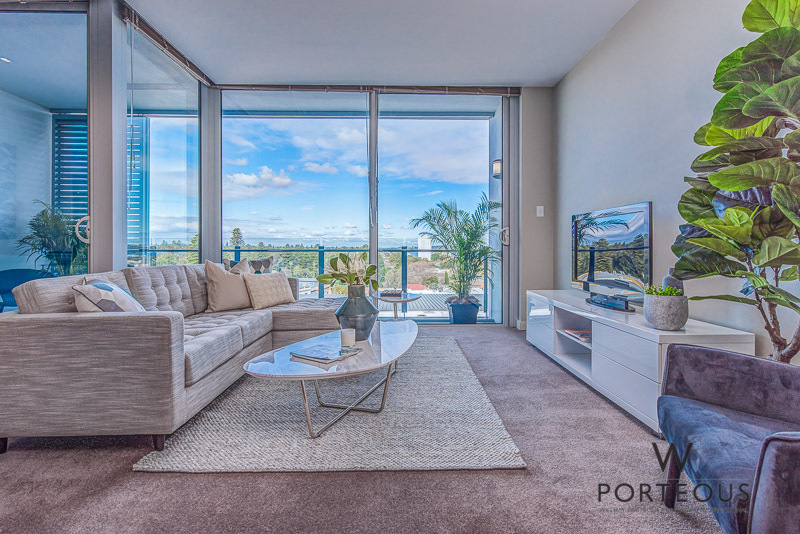 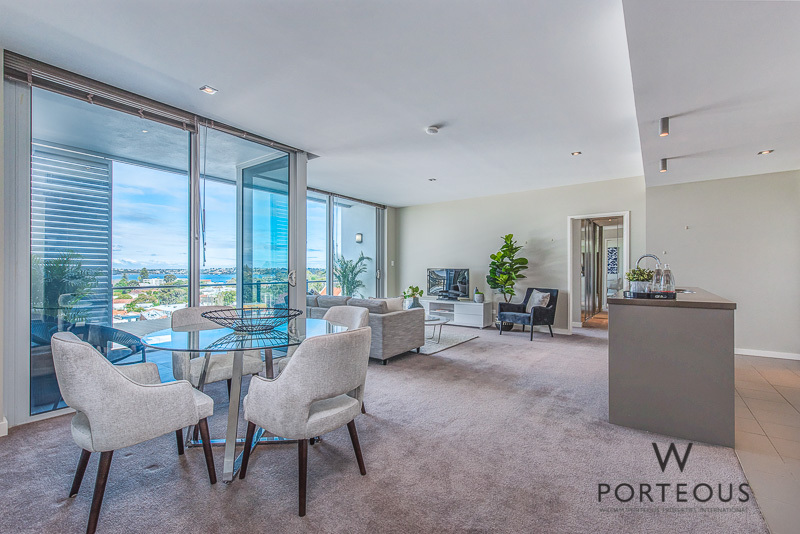 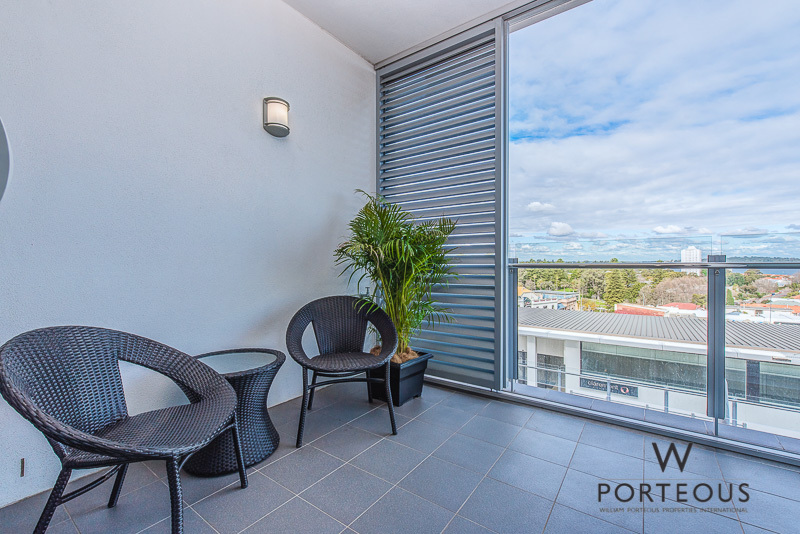 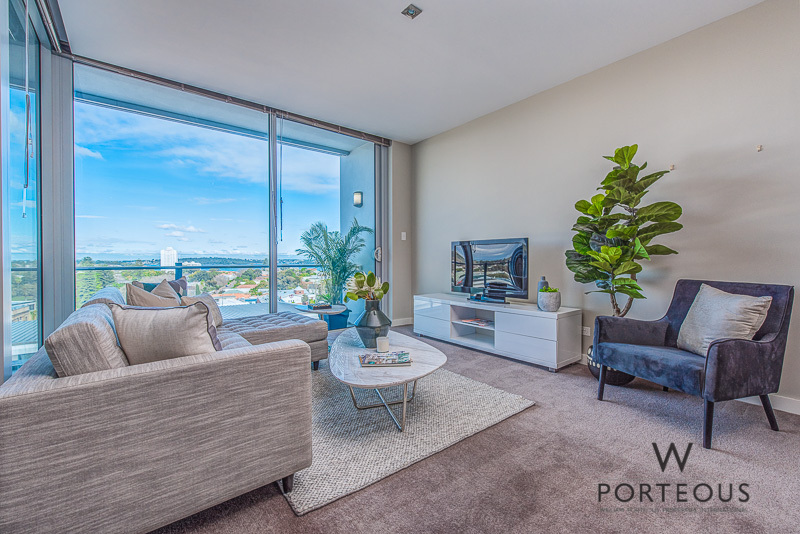 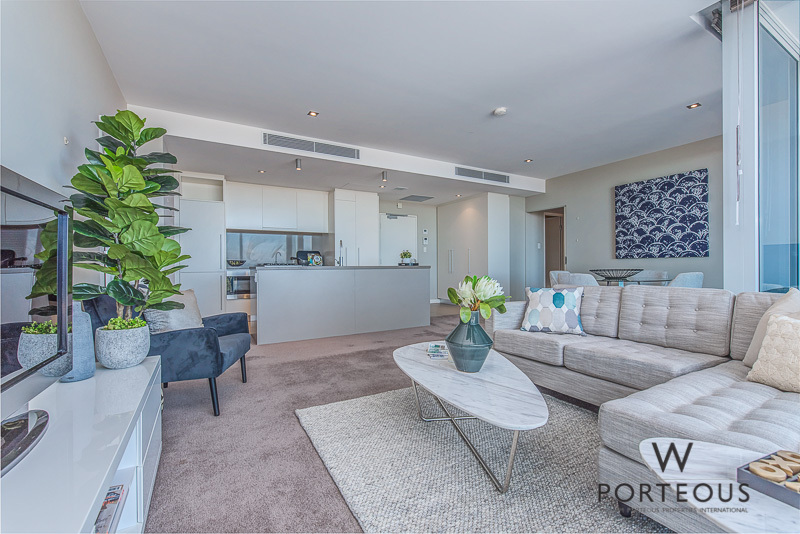 Full height windows and doors open onto the terrace balcony with a stunning outlook towards the Swan River. 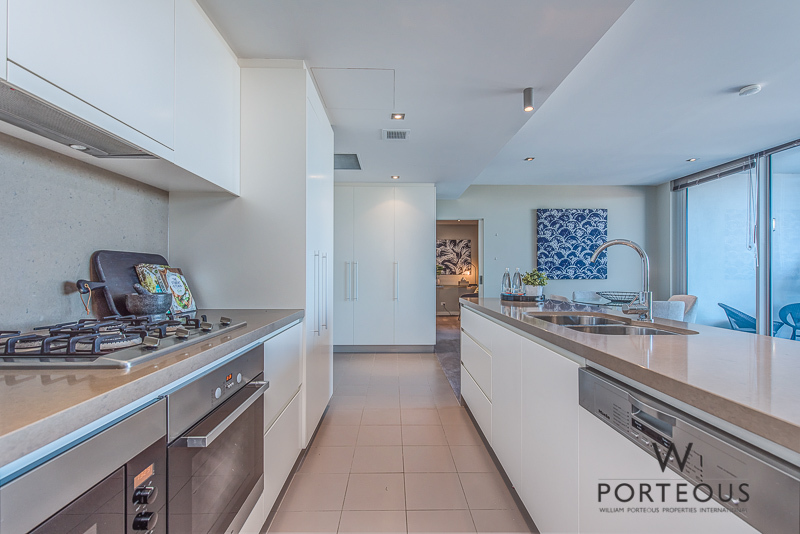 The stream lined and chic gleaming chefs’ kitchen is white and modern and comes complete with Miele appliances, Caesar Stone benches, and ample cabinetry. 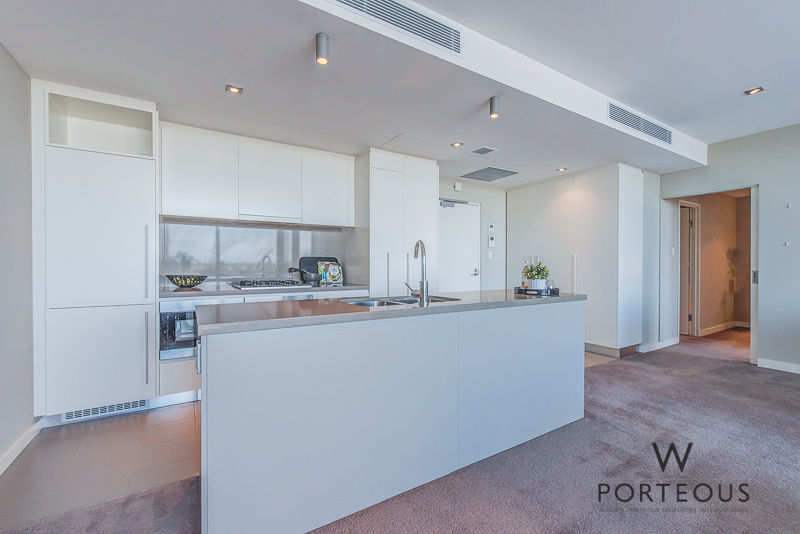 It has a great functional layout, looking out to the view. 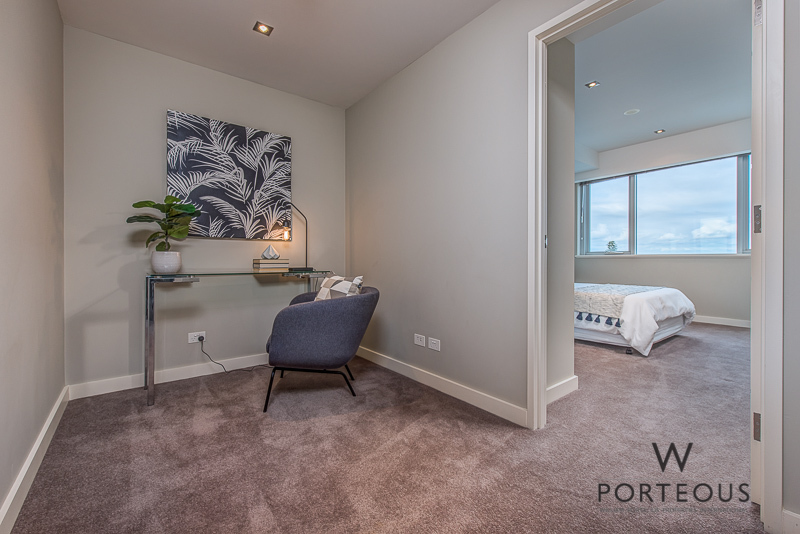 It has two double sized bedrooms, two bathrooms, a study, 2 car parking plus storage room. 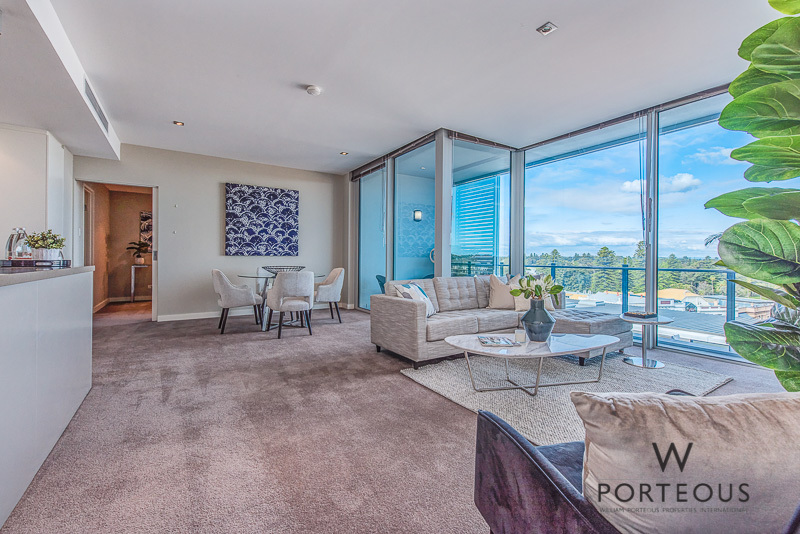 The spacious main bedroom is light and bright with WIRs and glass doors out to the balcony. 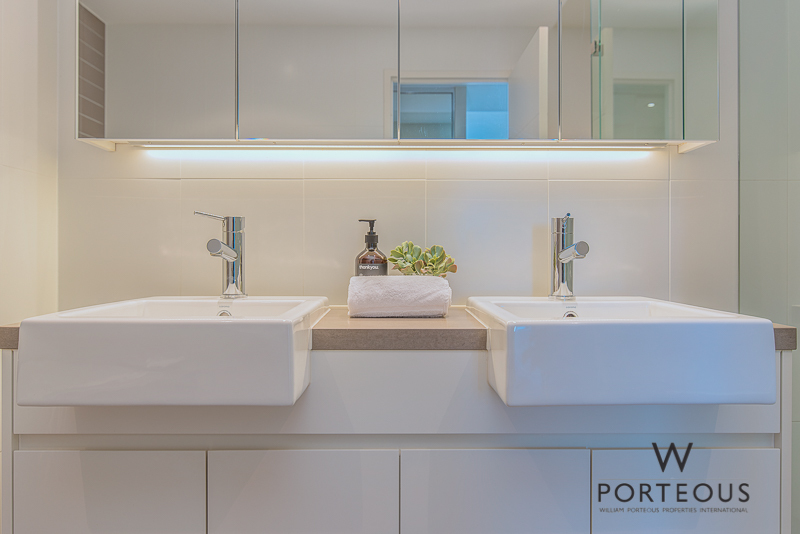 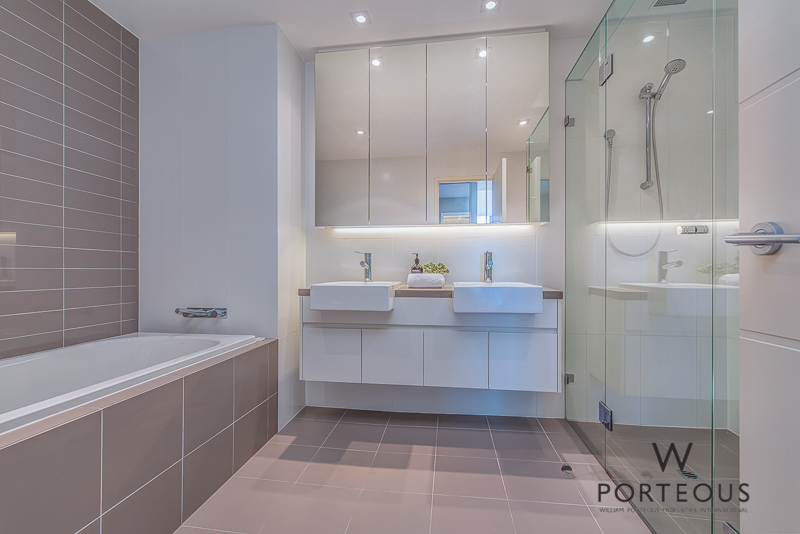 The luxury ensuite has full height tiling, sunken bath, frameless glass double shower, double vanity and mirrored cabinets. 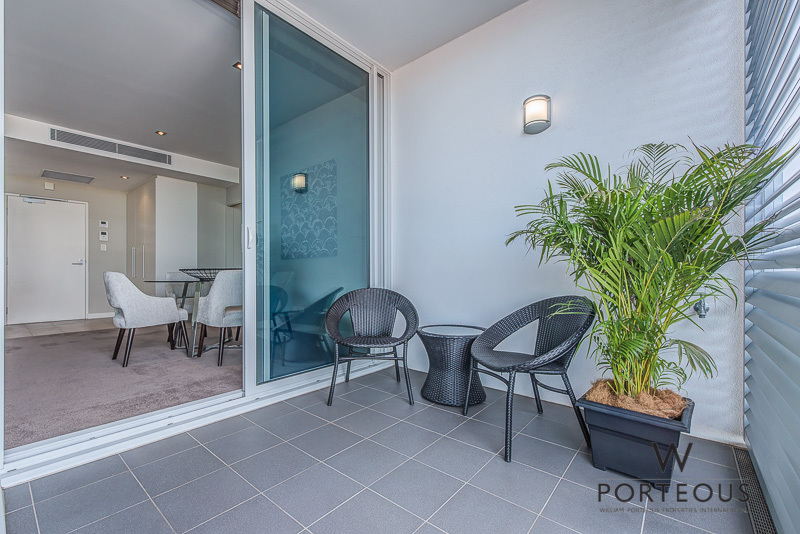 In addition to all of this the complex offers an outdoor resort style pool set in manicured gardens, a dedicated building manager, secure lobby with card access and intercom entry, and lifts. 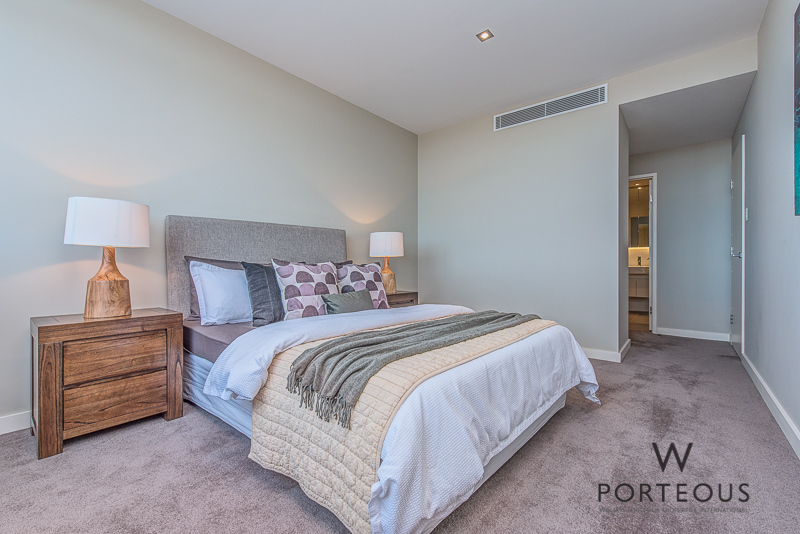 This is a luxury apartment in the middle of Claremont what’s not to love!